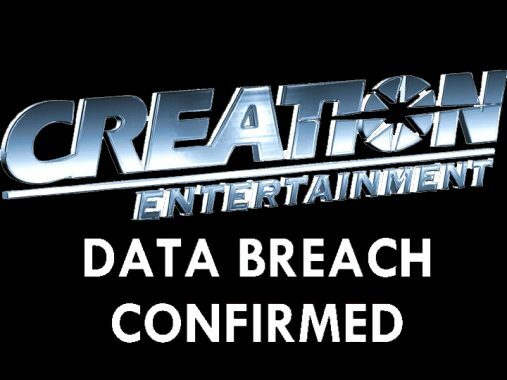 As reported in a previous article, customers of Creation Entertainment found fraudulent charges being submitted to their credit and debit card accounts. 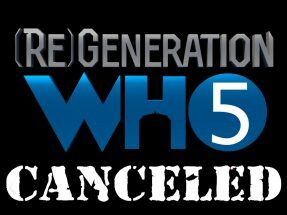 Creation Entertainment launched an investigation into the situation. “We take the safety and security of our customers very seriously. Since learning of a possible issue with fraudulent credit card charges, we have been working diligently to discover the cause and to update everyone on our progress. “We can now confirm that there was a breach of our system related to transactions that occurred in and prior to October 2018. More detailed notices will be sent to individual cardholders whose information was potentially compromised. We will also be working with law enforcement and credit reporting agencies to bring the responsible individual(s) to justice and to minimize as much as possible the harm to our customers. 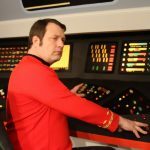 As advised in our last article, customers of Creation Entertainment should examine their credit and debit card accounts. Report any charges that are not recognized to your financial institution. Most accounts do have some form of fraud protection. If you do not find any charges, continue to monitor your accounts over the coming months. Hackers will often obtain such data but not use it immediately. They hope the length of time between the breach and their attempts to use their victim’s credit card information will allow the fraud to slip by, undetected. If you find such charges and report them, you will likely be issued a new credit card. This may require contacting legitimate businesses for whom you use that credit card for any type of recurring payment. Security experts often advise using credit cards rather than debit cards for any type of online transaction. While a stolen credit card number can cause inconvenience, you are usually covered by fraud protection and not liable for such charges. In the case of debit cards, you could find funds unexpectedly missing from a checking account. This might cause a number of legitimate expenses to go unpaid and could incur overdraft charges. While most banks will investigate and restore such funds, it can take a lot of time to sort out. As they announced, they are working with law enforcement on this issue. They state they have a new system in place, which may not be vulnerable to the same type of attack. It is possible that some of the perpetrators might be found, but unfortunately most hackers are extremely difficult to catch. Many companies that suffer such data breaches will reach out to customers who have been or may have been affected. Sometimes they will offer complimentary memberships to credit monitoring services or discounts for their own events. If you receive such an offer, be sure to authenticate it. If a credit protection service is offered, be sure to check out the company online before accepting. The hackers behind the breach might very well have your address, phone number and email address. As a secondary approach, they could use the discovery of the breach to reach out themselves to customers. By offering fraudulent credit protection services, they could convince people to provide personal information, social security numbers and other information that could be used for identity theft. Many times, customers who find their information compromised in such attacks lose confidence in the company that was breached. They may be very wary of using any internet based payment method. However, as such breaches have become more common, credit card companies are taking steps to protect you from them. Check the fraud policy on your accounts. There are also services such as PayPal that offer other methods of paying online that limit your exposure. There are many precautions you can take to reduce risk and protect yourself. Commerce on the Internet is only increasing and the convenience cannot be denied. There is a risk associated with credit cards online and even in person. But if you review your accounts regularly, you can avoid any real financial hardship. If you would like to learn about other ways you can protect yourself online, check out this article “How to Protect Your Cards and Accounts Online” from CreditCards.com. Next Article HILARIOUS Cosplay ID Fails! Doctor Who! Supernatural! More!